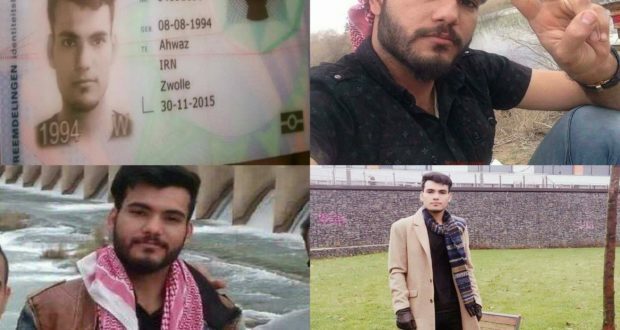 Ziya Sawari an Ahwazi young refugee in Netherlands after returning to Iran was arrested by the Iranian Security Guards also known as “Sepāh-e Pāsdārān-e Enqelāb-e Eslāmi”. Ziya Sawari 24 years old from “Althoura” district of Ahwaz capital was arrested after returning from Netherlands to Ahwaz. Ziya was arrested after his returns to Iran by the “Sepāh-e Pāsdārān-e Enqelāb-e Eslāmi”, He then was accused by the Islamic Revolution Court and his file number 9509986300400010, of being a member of “Ahwaz Liberation Movement” and “propaganda against the Islamic Republic” By virtue of Article 500 and 499 of the Penal Code refers to Article 5 to 6 years’ imprisonment on 21st of December 2016. Court Branch 16 of the Revolutionary Court by Judge Saeed Kosha confirmed the preliminary sentence, recently the decision was passed on to Ziya. According to the Iranian court Ziya took a part in demonstration in the events after a soccer match between Al-Hilal Saudi vs Foolad Ahwaz in 2015 was arrested and then was released on bail. He escaped Iran with Ahwazi singer called Emad Ebeyat to Netherlands. 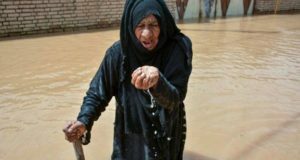 According to the report from Sepāh-e Pāsdārān-e Enqelāb-e Eslāmi, Ziya Sawari had contact with his relative named Essa Sawari an Arab activist from Ahwaz, and also Ziya was active in CyberSpace (Online Activities) and He participated in protests in front of the Embassy of Islamic Republic of Iran in Netherlands. 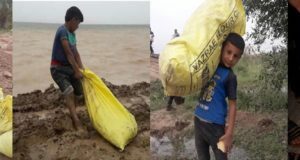 Ziya for being under pressure from his family and the pressure that the Revolutionary Court put on his family for confiscation of their property, and not having evidence of his claims and not having financial support from Netherlands government and Immigration negligence of the Netherlands and the situation of refugees there, had to return to Ahwaz in March 2016 and was captured by Sepāh-e Pāsdārān-e Enqelāb-e Eslāmi. Ziya was forbidden from accessing lawyer and was subjected to barbaric and severe torture by Iranian intelligence service where he could defend himself in so called Iranian courts to decline all the false charges that been made against him. 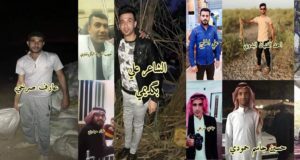 Worth noting that few months ago, Judge Saeed Kosha sentenced two Ahwazi Arab political activists named Jaber Sakhravy and Mehdi Khany-Poor to Seventeen and a half years. Next: Iranian Security Intelligence Forces arrested two brothers Abbass and Kazem Sari.